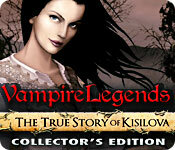 Vampire Legends: The True Story of Kisilova Collector's Edition is rated 3.8 out of 5 by 88. Rated 5 out of 5 by EzgiMelody from Truly Nice ! it is a really interesting historical storyline from a Gypsy's eye. I enjoyed to play every second of this game especially the potion brewing games. Thank You Big Fish. Rated 5 out of 5 by smoovasbutter from Good vampire game This game is produced by BGF in collaboration with O2D, a studio that I am not familiar with. It is very interesting as they took a real life Serbian legend and made a game out of it. The graphics are reasonably well drawn but the animation is lacking. Music is decent. I liked the overall ambiance and atmosphere of the game. Story is derivative but fun with no issues. Make sure you get the CE, you'll get your money's worth. In addition to the usual extras, you also get documentary like interviews dealing with the real legend. Outstanding extras. Rated 5 out of 5 by viperian from One WILD Ride I do not play HOG games because i hate looking for things BUT this one intrigued me so much that I played the standard version and got obsessed with it to the point of staying up to 1 am. I bought the collector edition because I just had to know what happened next in the Bonus chapter about Rose. If you love HOG you have to play this its awesome and based on a true account of documented facts. Rated 5 out of 5 by arnold1049 from BE SURE TO LISTEN TO/WATCH THE INTERVIEWS I played the casual mode for this game and really enjoyed it. Since I played the whole game, the bonus content was unlocked. The bonus chapter was fairly long and fit seamlessly into the parameters of the main game. There is a map which is very helpful, but would have been even better if it had been interactive. The hint button worked great in both the hidden object scenes and in other parts of the game when I needed to figure out where to go next. The puzzles were varied and interesting. Some were easy, others hard, and I skipped some. The flow of the game was fairly logical and did not send me back and forth an inordinate amount. I never had to refer to the strategy guide. Probably should have to figure out some of the puzzles I skipped. Part of the bonus content is two interviews with actual people in Serbia discussing the town of Kisilova and vampires in general. Very interesting and a nice touch. Excellent game. Rated 5 out of 5 by Plientje from I really liked this one!! Cutscenes are really great! So are the voiceovers. It all makes the game really come to life, and you sympathize with the characters. That's why it's so immersive and why you have to keep on playing till the end. Very little lip-sync, which doesn't bother me at all, but I know some of you do. Very nice good clear graphics. Great atmosphere. Not a lot of music which is non-obtrusive. The game has a fantastic good flow and plays logical and intuively, a very important feature in my opinion, keeps your intrest going! the HOS and puzzles are done very well, all is clear and Obvious in that aspect. This game ends very conclusivly, and the story is completely rounded up, but I do really think it's worth to buy the CE because of the extra's you never see in any other CE. There are interviews with the inhabitants of the real Kisilova, that tell you the history and relevance of the story. There are also pictures of the real Kisilova nowadays. All of this makes the game even more interesting and captivating. And then there is the bonus game! Very well done and an tremendous ending with a great twist! The rest is standard, but there are some very beautiful wallpapers. One of them is sitting om my lappy now! Ok, no morphs or collectables, but they did give us some new kind of info which I found to be interesting and needs to be rewarded. I had a lovely time playing this game (about 6 + 1,5 hours for me) and hope you will too! Have fun! Rated 5 out of 5 by rosekaufmann from LIKED IT BETTER THE MORE I PLAYED PROS: - Skillfully told story of investigating the sudden and gruesome deaths in Kisilova, Serbia in 1725. - Realistic sound effects. Very nice natural-sounding voice overs. - Journal listing objectives, notes and map which tags locations with objectives. 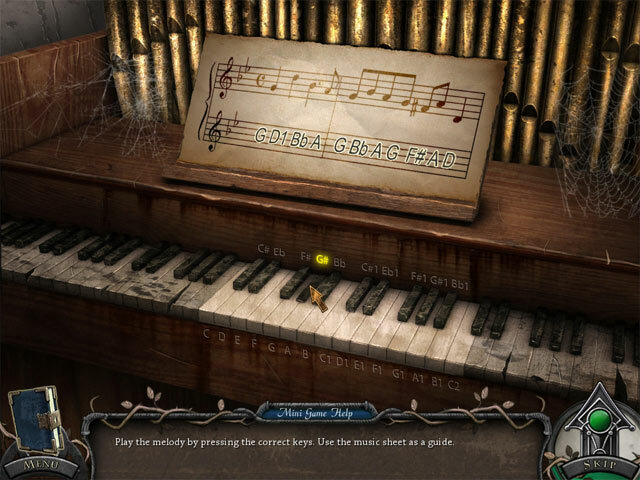 - Gorgeous graphics - Regular and expert modes; aspect correction; 4 sound volumes. - Plenty to do; hint system is very helpful. - True delight to play. CONS: - Can’t think of any. Very polished production. CE/SE DIFFERENCES: If you’re debating between the SE and CE, the CE’s extras include the bonus chapter, interviews, pictures of Kisilova, 14 music tracks, and concept art (sketches of places, draft and final and interim sketch of characters). Rated 5 out of 5 by devildoll907 from Well worth the game credits I used! 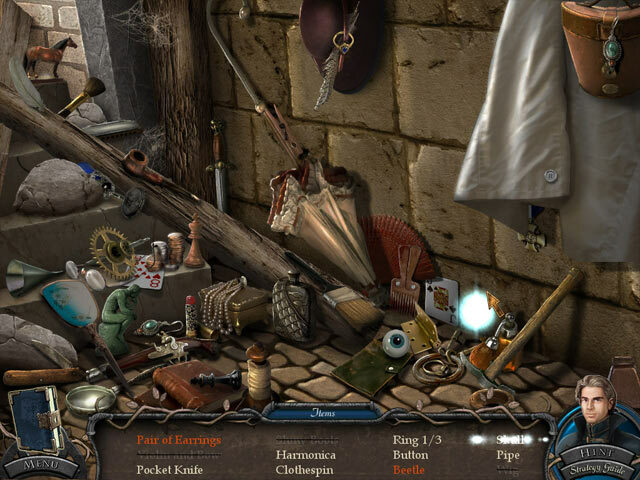 I'm a little new to these Hidden Object games. So, I admit I usually have to refer to the walkthroughs a LOT on most games. This one was challenging, but not to the point I was always using the guide...Nice for a change! I love the vampire genre (NOT 'Twilight'!!) Although I prefer more blood and gore with my vampire experience, I realized that this is not that kind of game. It was a great journey, nonetheless! I didn't know this was based in some truth until I watched the Extras after completing the game. So, of course, I spent an hour checking out more about Kisilova afterwards. I would recommend this for both beginners and pros alike. It really holds your attention and keeps you playing. I'll definitely be playing it again! Rated 5 out of 5 by Vika95 from I'm from Serbia I liked this game because it's happening in Serbia, and I'm from Serbia. And it's very exiting to play a game based on true events. I remember watching on TV something about this small town and vampires. And it still exists. Rated 5 out of 5 by jcsgame from Excellent Game This is one of the most enjoyable games I've played in a long time. The story got me from the beginning....I hardly wanted to take a break. The map was very helpful in determining where I was and where actions needed to be taken. I thoroughly enjoyed the game. 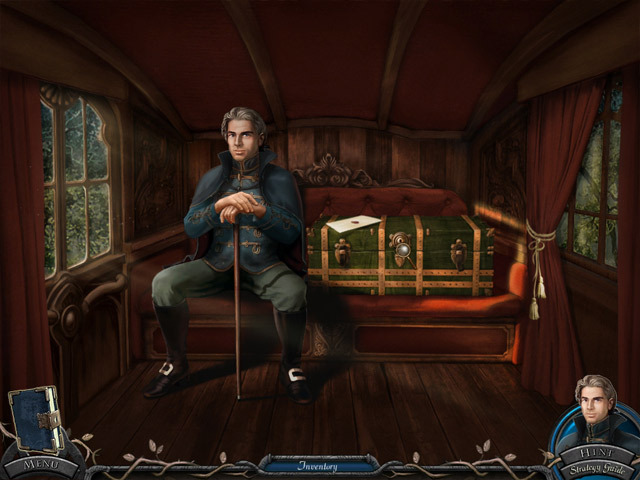 Vampire Legends: The True Story of Kisilova Collector’s Edition is an incredible adventure based on the true story of the first documented case of vampirism ever!